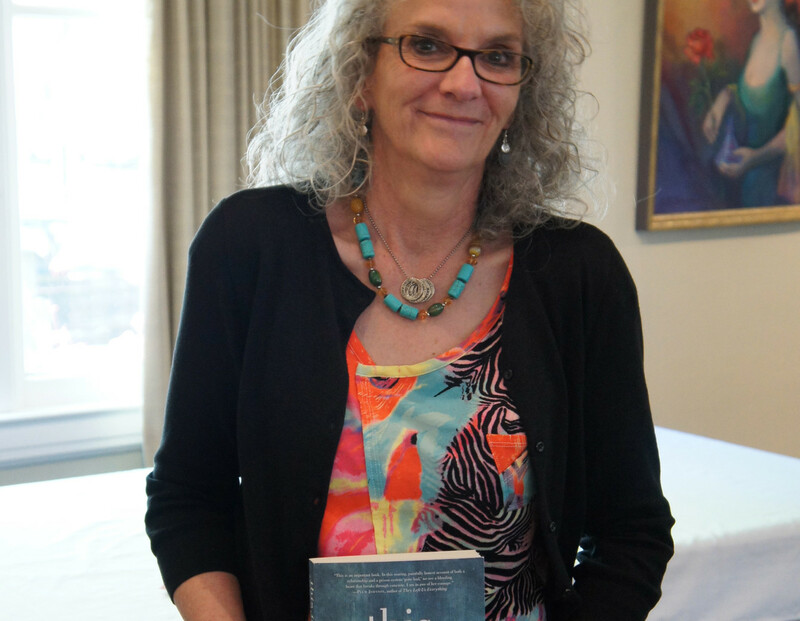 Diane Schoemperlen was born and raised in Thunder Bay, Ontario. She has published several collections of short fiction and three novels, In the Language of Love, Our Lady of the Lost and Found, and At a Loss for Words. 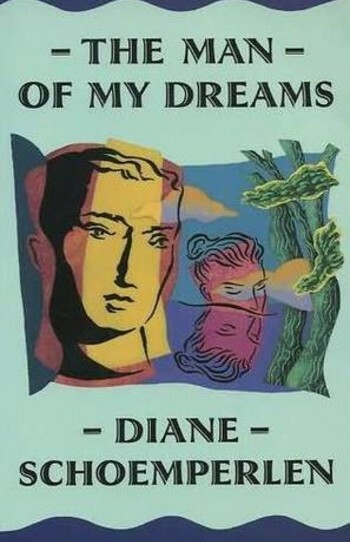 Her 1990 collection, The Man of My Dreams, was a finalist for both a Governor General’s Literary Award and a Trillium Book Award. 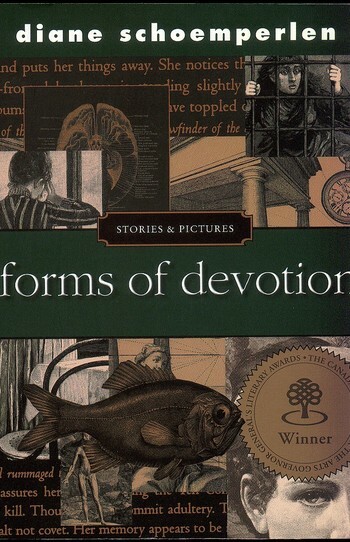 Her collection, Forms of Devotion: Stories and Pictures won the 1998 Governor General’s Literary Award and inspired a sequel, By the Book: Stories and Pictures, published 16 years later. In 2008, Schoemperlen received the Marian Engel Award from the Writers’ Trust of Canada. 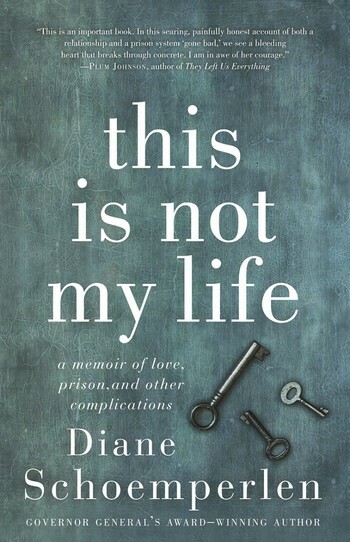 Her memoir, This Not My Life: A Memoir of Love, Prison, and Other Complications, was a finalist for the RBC Taylor Prize. Schoemperlen lives in Kingston, Ontario. “From the publication in 1984 of her first book, Double Exposures — a story told through words and photographs — Schoemperlen has pushed the boundaries of form. In early collections of short fiction from 1986 to 1991 — including The Man of My Dreams, Hockey Night in Canada, and Frogs and Other Stories — she experimented with the genre, defying convention, refusing to be shackled by tradition but at the same time holding herself to the highest standard. 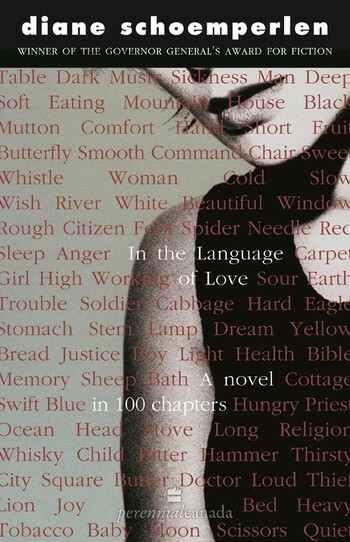 She brought the same imagination and rigour to her debut novel, In the Language of Love, in which each of its 100 chapters is based on a word in the Standard Word Association Test, used to measure sanity. 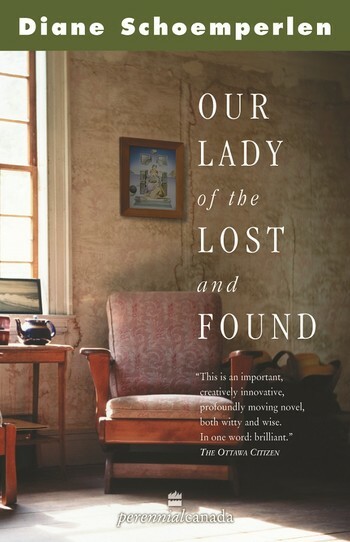 Talk about bold: her novel, Our Lady of the Lost and Found, published in 2001, is narrated by the Virgin Mary herself. In her 2008 novel, At a Loss for Words, her character, a writer with writer’s block, turns to the random words around her — horoscopes, fortune cookies, emails, and self-help manuals—to express a love that cannot be realized in any other way. In Names of the Dead: An Elegy for the Victims of September 11 she lists the names and stories of everyone killed on that era-ending day to present a meditation on terror, grief, and the everydayness of tragedy and loss. 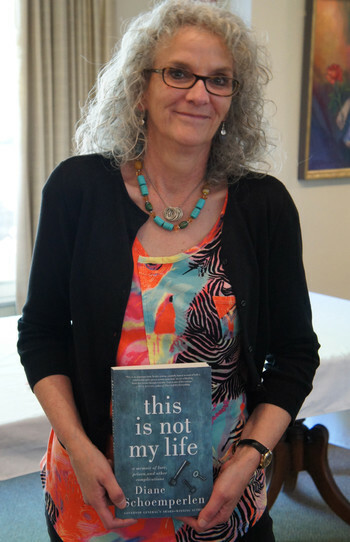 And last year, she turned her unique, unsparing lens on herself in her first work of literary nonfiction — This Is Not My Life: A Memoir of Love, Prison, and Other Complications — in which she recounts the fall-out from her relationship with an inmate of Kingston Penitentiary. In 2017, her early and uncollected short stories were gathered and published in a single, magnificent volume, entitled First Things First. Although never at a loss for words herself, she at times incorporates illustrations in her stories, fusing words and images to create a language of her own in works such as Forms of Devotion and By the Book. She is now creating single works of word-and-image collage.